Old Fire Station Pub is a bar located in a converted fire station in the Hammersmith neighborhood of London, U.K. 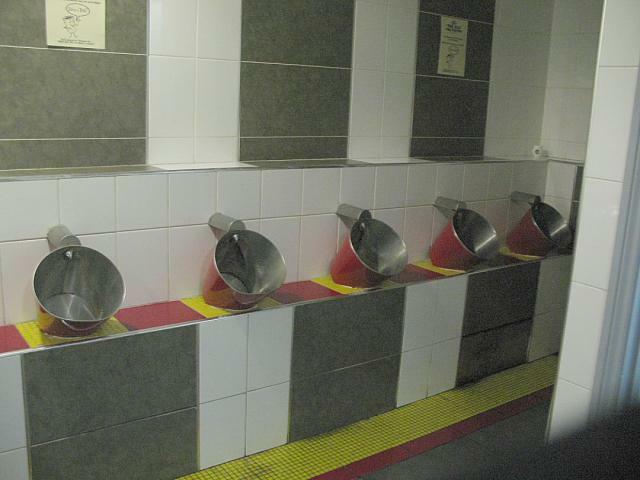 These pictures were submitted by Peter H. He writes: "Here are 3 photos of the urinals in this Hammersmith area of London UK pub. These premises are obviously a converted fire station and is rather a large cavernous space. When I went, it was a Friday evening and very busy and noisy. It was extremely difficult to get opportunities for photography as people kept coming in and out. 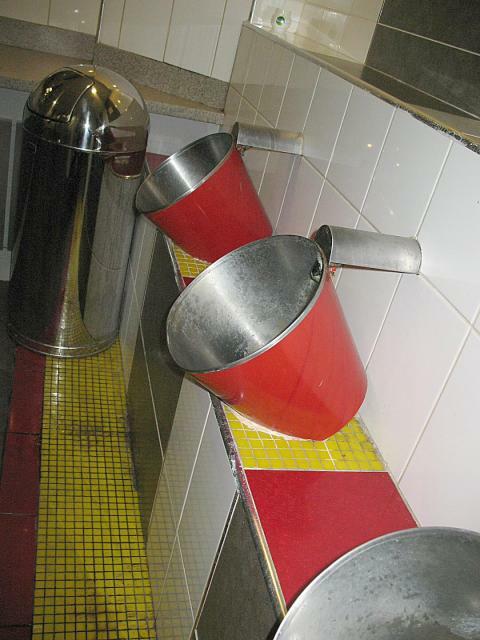 The unusual urinals are old red fire buckets angled towards the user but still fitted with automatic flushing. 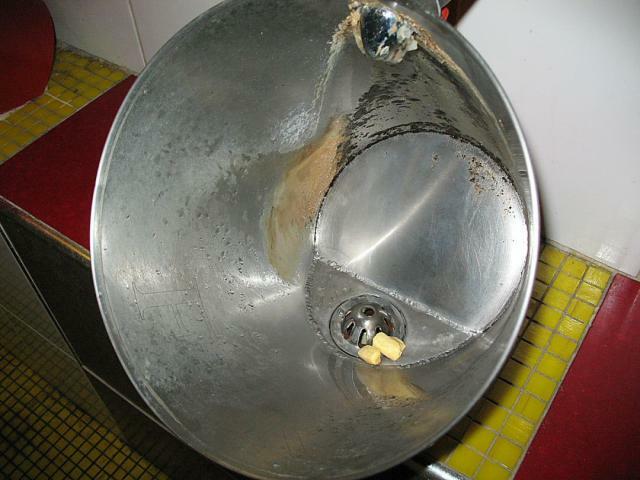 Fun to use."